Superdry women’s Imogen lumberjack check shirt. No wardrobe would be complete without a lumberjack shirt. Featuring a button down fastening, twin buttoned chest pockets, button cuffs and a dipped hem. The Lumberjack check shirt is finished with logo badges on the sleeve, placket and above the chest pocket. 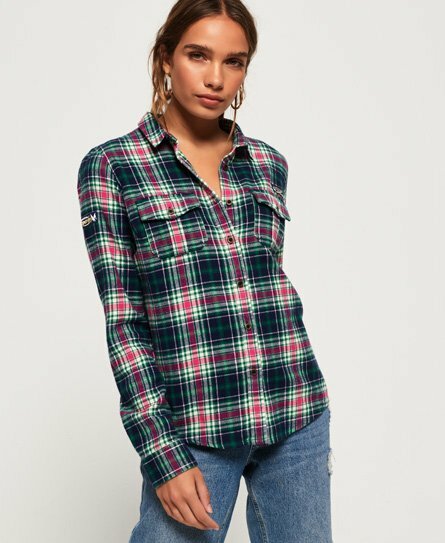 This shirt is the ultimate layering piece and can be thrown on over a t-shirt, under a denim jacket or even tied around your waist.